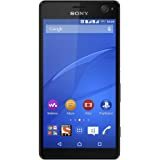 A fantastic new offering from the house of Sony, the Sony Xperia M2 with Dual Micro-SIM (GSM+GSM) is a scintillating new upgrade to the uber popular Sony Experia M. This gorgeous device comes with an internal storage capacity of 8 GB, which can be upgraded to 32 GB with a micro SD card. With silky smooth performance courtesy of 1 GB RAM and an enticing new design, the Sony Xperia M2 is a force to be reckoned with. With rakish new looks, the device is substantially sized at 139.7mm by 71.1mm by 8.6 mm (5.5x2.80x0.34 in)and weighs 148 g (5.22 oz). This edition of the device comes in the dignified shade of black, but the phone is also available in white. The vivid 4.8 inch scratch-resistant TFT capacitive multi-touch screen is a visual treat. With a fabulous resolution of 540x960 pixels, that displays a notable 16 Million colours in the resultant pixel density of 229 PPI, the screen is a captivating feat of mobile technology. The on board 8 Megapixel camera is equipped with LED flash, and a whole host of other features like autofocus, face and smile detection, geo-tagging, touch focus, image stabilisation and HDR. The camera can click photos of 3264x2448 pixels resolution and also record 1080p HD video. There is a secondary front facing VGA camera as well for those important video calls that can additionally record video at 480p. Shipped out with the standard Android v4.2 Jelly Bean operating system, with a whole host of customisable options, it is perfectly capable to let your home screen do all your work for you. Equipped with the powerful quad-core 1.2 GHz Qualcomm Snapdragon processor, the phone is ready to tackle all those tasks you throw at it without lag or interference. The icing on the cake is the 2300 mAh Lithium-Ion battery that has massive stand-by time of 580 hours, and talk time of 11 hours on 2G and 12 hours on 3G. Capture every moment. And more. The Xperia M2 comes with an 8 MP camera that captures pictures of exceptional quality. Featuring our groundbreaking Exmor RS for mobile image sensor and Auto scene recognition, this fast smartphone gives you stunning photos anywhere, at any time. 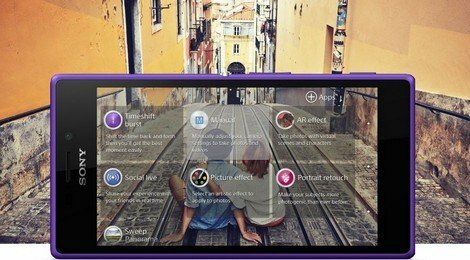 When you want to make more of your photos, try Xperia M2’s innovative camera apps. And with Social live, you can broadcast what’s going on live on Facebook. 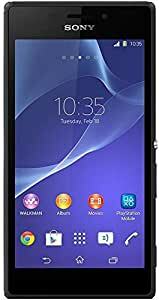 The Xperia M2 boasts a big, bright 4.8” qHD display, built with Sony’s TV expertise. It’s perfectly sized for entertainment in your hand. And with balance in all directions and precision-crafted details, this elegant Android smartphone exudes design innovation too. Step right into the action with the ultra-fast Xperia M2. 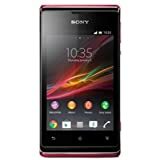 This high-perfomance, fast smartphone from Sony is powered by a quad-core processor and built with the same attention to detail as the Sony flagship smartphone, the Xperia Z2. You have instant access to amazing entertainment experiences – wherever you go. Get ready for instant gratification. Super-fast LTE networks give you access to entertainment anytime and anywhere. The Xperia M2 is a fast smartphone that makes sure you’re always in the fast, lag-free lane. Check out the Xperia M2’s wide range of accessories. They work perfectly together to give you an even richer mobile experience. Dynamic sound and great ease of use. Choose your colour and enjoy impressive wireless audio. 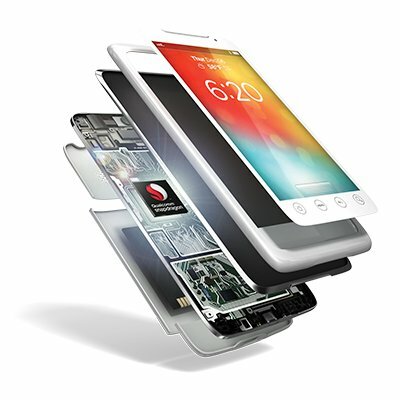 Snapdragon 400 series processors are designed to support the most popular smartphone features: comprehensive Internet connections with 4G LTE, Full HD video capture and playback, superior audio and camera. This proven performance allows you to switch between your favourite apps and enjoy amazing visuals whether you’re capturing memories, streaming films or playing the latest 3D games. the overall mobile is okay as compare to all features covered in smart phone. but the camara quality really bad. i got this mobile two day back and on received day i had issue with camara. its showing error " camara not available". this happened three times in two days. so i am going to return to amazon. when i upgrade lolipop os, the camera picture resolution is very bad. The SONY software upgrade engineering is VERY POOR. Service center is not responding properly.Due to purchase this phone through AMAZON service center peoples are not responding our request. 5.0 out of 5 starsNice one. Very good product by Sony. Economic range and very competitive price at Amazon. Thanks Seller & Amazon.